What’s a better way to explore the city of Dallas? On a Segway! You say you’ve never operated a Segway, no problem! Each tour includes a brief training of how to operate a Segway safely. 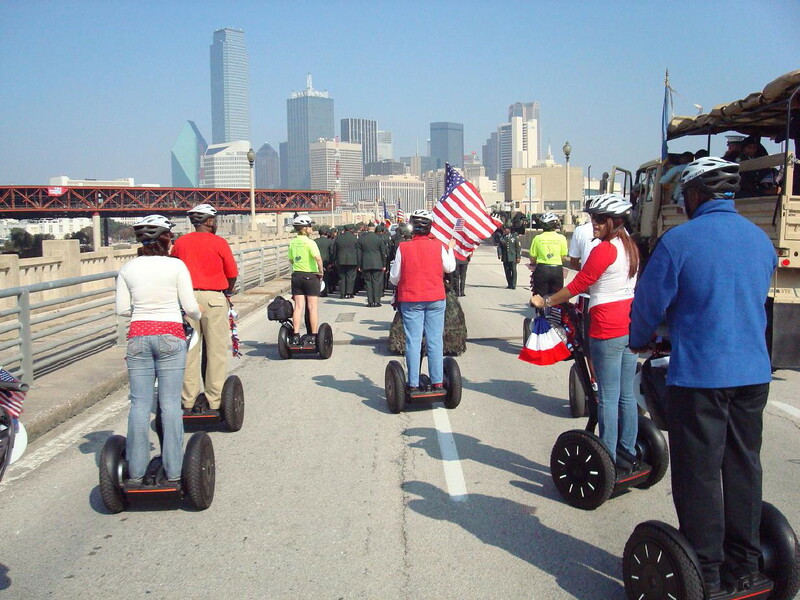 Dallas Segway Tours offer three different tours; Dealey Plaza Then and Now, Katy Trail Nature Tour and American Airlines Tour. This is a great way to get to know several attractions in a short amount of time while having the fun riding a Segway. You can check out their website at http://dallassegwaytours.com for more information on tours, pricing, discounts and deals.